New College is embarking on the fourth big expansion in its history. 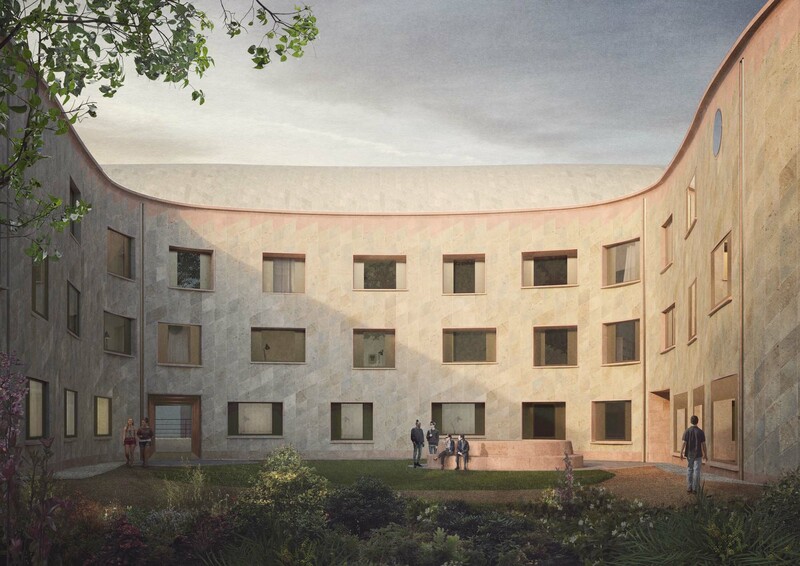 To be named after Chris Gradel, an Old Member who has generously provided the core funding for the project, the Gradel Quadrangles received planning permission in June 2018 and will provide an additional 70 student rooms, as well as a flexible learning hub, and a performance base. 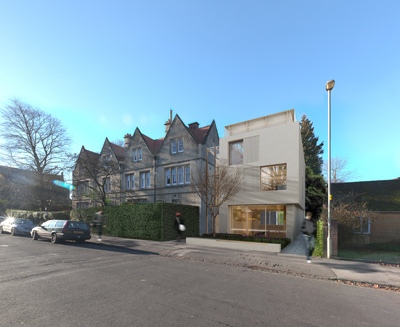 The development will take place on our site on the corner of Mansfield Road and Savile Road, which is currently underused and unattractive, though it includes some buildings of worth (1 Savile Road and parts of Savile House) which will be retained. Though just minutes from the College, there is a distinctive atmosphere of Edwardian North Oxford about the area, which it is important to keep. 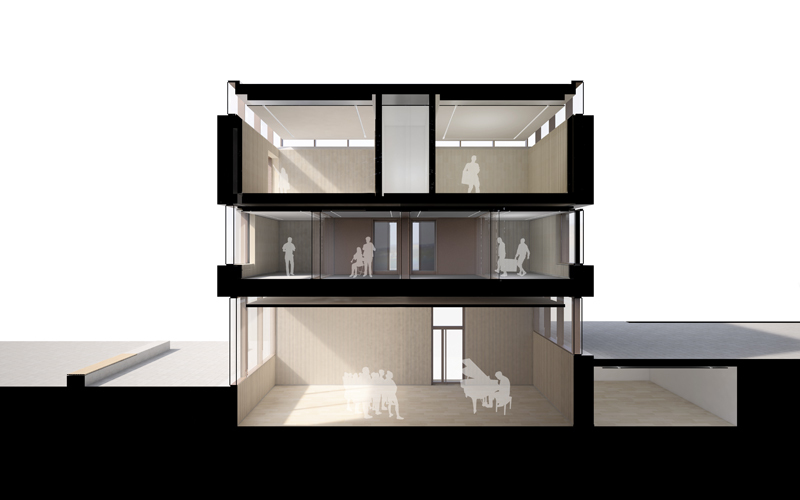 The architects, David Kohn and Partnership, a young and innovative practice, have developed a scheme which is sympathetic to the environment, while being in Oxford terms, distinctive and interesting. You can hear more about the architectural vision from David Kohn himself below. The spaces reflect an evolution of the traditional quadrangle, as exemplified by our own Great Quadrangle, into a curvaceous and fluid form. 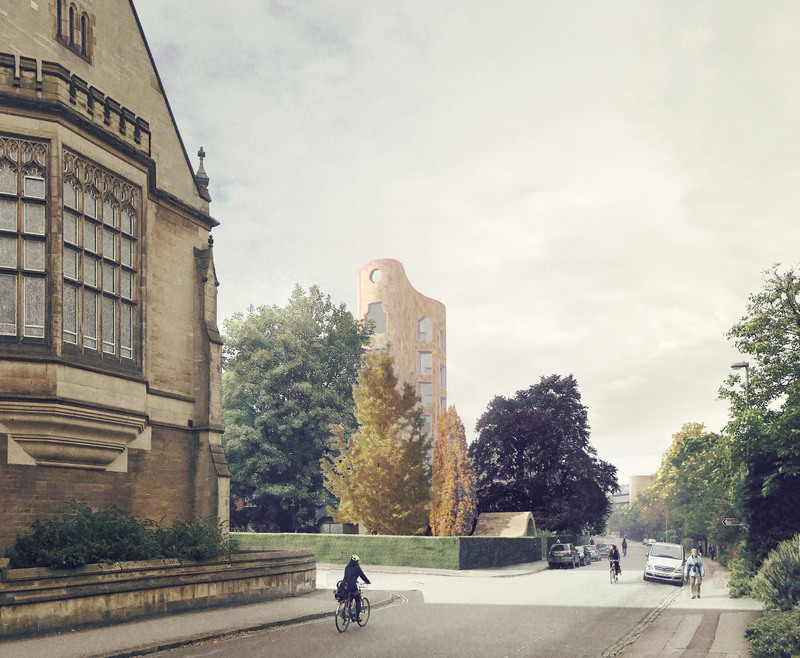 As you approach the site from the College, you will see a slender tower, intended to establish a relationship between the old site - which of course features both the Bell Tower and the Robinson Tower - and the new one. The façade has been designed to provide the type of articulation that can be found on many of Oxford's historic college buildings. "An innovative and playful group of buildings which would bring joy to all who experience them and enhance the architectural richness of the city." Please see the newsletters below for the latest site updates from the developer. There is still a large amount of funding required for the project to be completed as planned. Please view all opportunities which exist for sponsoring and naming parts of this glorious new set of buildings. The College has completed the major refurbishment and extension of its premises in Longwall Street. These comprise a series of Grade II listed houses and the Morris Garages - the historic site where William Morris pioneered the manufacture of his motor cars. 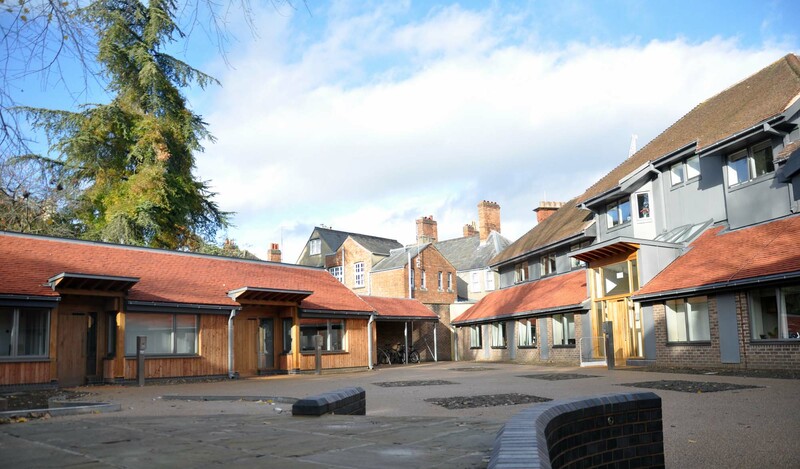 The Morris building had been converted to student accommodation some decades ago, but this had become degraded; at the same time the College saw the opportunity to create a series of fully accessible rooms for disabled students. The site is in an area of high significance, close as it is to the City Wall. The accessible rooms (seen below) are designed to be best in practice and have been specified in conjunction with David Bonnett Associates, access consultancy. The overall project has been directed by Marcus Beale Architects. The rooms are named after Cecil Kimber, who worked for Morris in the Garage, and developed the first MG cars. Further information can be found in our Disability pages. New College is currently building the Clore Music Studios, adjacent to the Victorian Savile House in Mansfield Road. 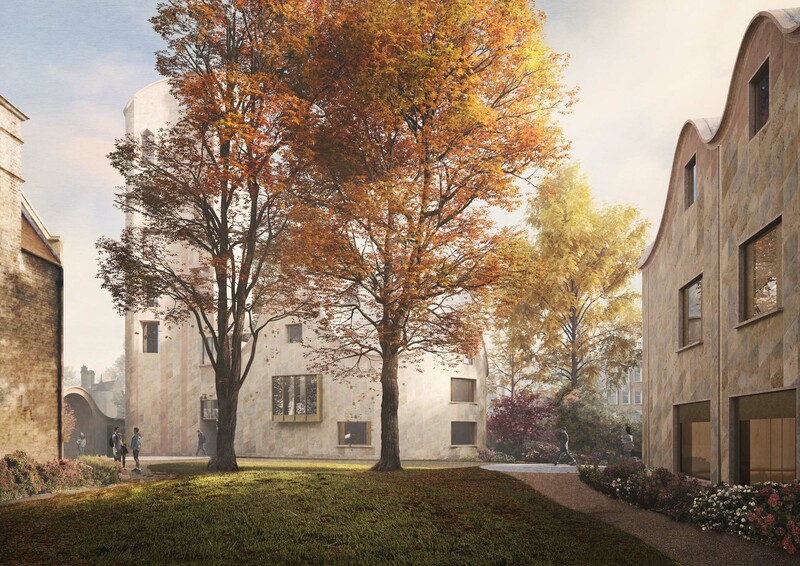 The building, designed by John McAslan and Partners, will offer three floors of accommodation: the top floor will contain two chamber music studios; the first floor, four practice rooms; and the ground floor, a large rehearsal room for opera and drama.